Musica BP-8A 4 Pair Dual Binding Post Wall Plate. Almond color. 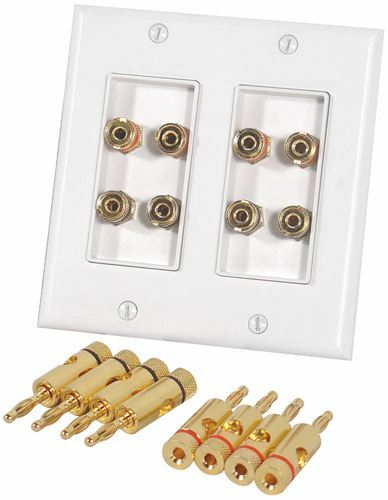 8 Speaker binding posts on a dual gang wall plate.